Through Dr. Jeremy Penner, a faculty member in the UBC Division of International Health and a physician who practices primarily in Kenya, GHI established a partnership with a Kenyan community-based organization called Pamoja CBO (previously known as Partners in Community Transformation (PCT). Pamoja is a grass-roots community empowerment organization, passionate about helping communities develop the skills they need to make positive changes for themselves. In 2018, the focus was on adolescent girls and young women’s health. The team conducted focus group discussion with questions regarding knowledge, attitudes, and availability/access of contraceptives and gender-based postviolence care; questions were designed to explore how women thought about and made decisions regarding these topics. Low uptake for contraceptives and gender-based post-violence care (GBPVC) for women in the DREAMS (Determined, Resilient, Empowered, AIDS-Free, Mentored, Safe) Initiative were identified by Pamoja. DREAMS is a US government funded program that aims to reduce HIV infection rates among women aged 10-24. This study aimed to provide insight into the challenges surrounding delivery of contraception and GBPVC as HIV prevention strategies among a vulnerable population in rural Kenya. 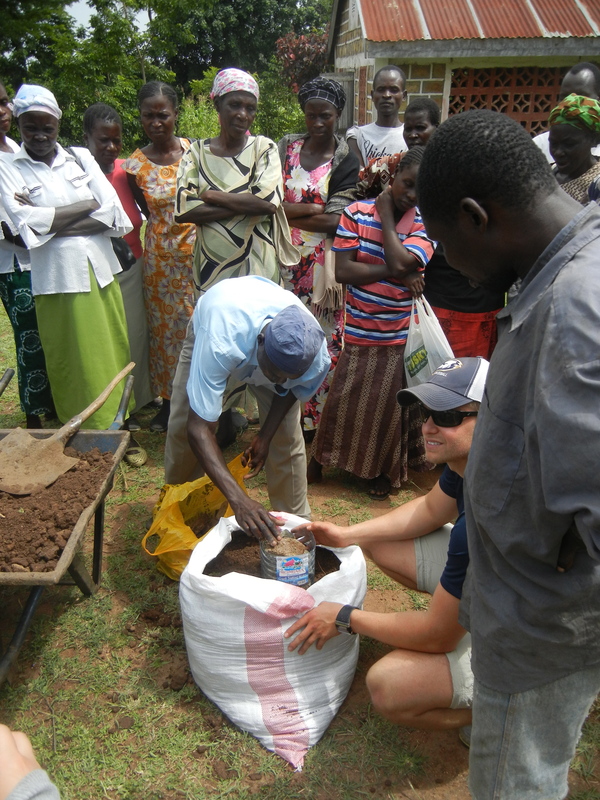 Working with Pamoja and the communities it serves was a truly rewarding experience. 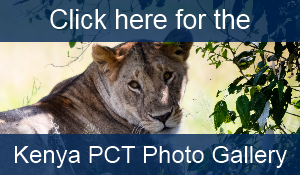 Pamoja is a fabulous organization, with dedicated and welcoming staff that strive daily to improve the various aspects of health for the communities it serves communities. This project is open to students from all faculties at UBC. 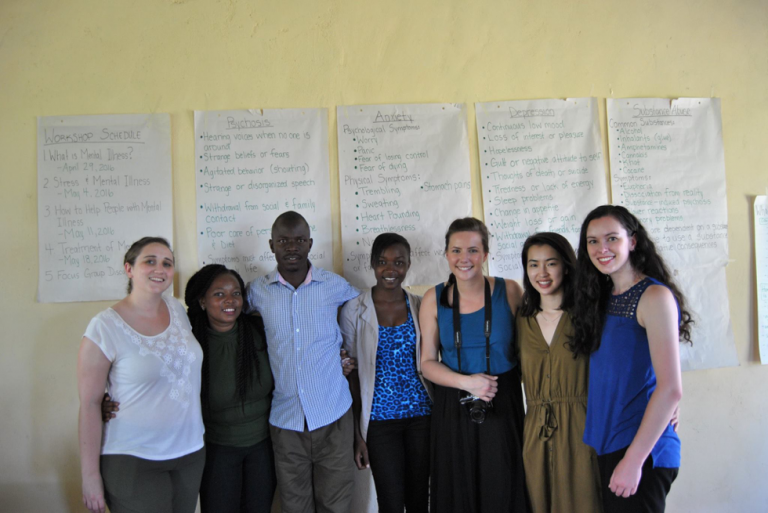 Our GHI team (Alanna Roberts, Kate McWilliams, Lauren Kan & Kelly Leslie) plus some of our amazing partners from Kenya Pamoja at our first mental health workshop for Community Health Workers, where we taught them about psychosis, anxiety, depression, and substance abuse. Since 2014, the GHI Kenya team has focused on working with community members in the rural region outside of Kisumu to increase awareness and knowledge of mental illness and decrease the stigma surrounding it. In Kenya, GHI works in collaboration with Pamoja, a local grassroots NGO located in the Kisumu region. Pamoja is passionate about helping community members develop the skills they need to make positive changes for themselves. In response to feedback from the community about a perceived need for increased knowledge about mental health issues the 2015 GHI team in Kenya initiated a mental health education project in partnership with Pamoja,. Over the course of several weeks, the 2014-2015 GHI team assessed the local knowledge, practices, and perspectives around mental health in the region through interviews and focus group discussions with community members and local mental health professionals. Most notably, they identified a widespread lack of knowledge about mental illness in the community and a lack of ability for most people with mental health issues to access help due to financial constraints, pervasive stigma, and a lack of resources available. The 2016 team utilized the information gathered in 2015 to implement and evaluate a series of mental health education workshops. These workshops were based on those developed by the World Health Organization (WHO). They focused on defining mental illness and its causes, describing the symptoms of the most common psychiatric disorders, explaining how to provide mental health first aid, and outlining the mental health resources available in the community. The workshops were directed towards Community Health Workers (CHWs). CHWs are community members who go door to door across the region to teach families about health issues and refer them to further medical attention if needed. The goal of training CHWs to recognize and respond to mental health issues in the community is to improve general awareness about mental health within the communities and improve recognition and treatment of those suffering from mental illness. The 2017 team built upon the work conducted by the 2015 and 2016 teams. The goal in 2017 was to evaluate the retention of mental health knowledge by CHWs at one year following the workshops, further disseminate mental health knowledge within communities, and gain an understanding of mental health services in the region. Knowledge retention amongst CHWs was assessed via focus group discussion and a post-test prior to any 2017 workshop involvement. Many of the CHWs had retained most of the key points from last year’s sessions, were very grateful for having had those trainings, and were eager to expand on their knowledge base. While much of the direct teaching in 2017 focused on community members, we did hold two workshops exclusively for the CHWs. The first focused on the appropriate actions for CHWs to take in the course of treatment and management for someone suffering from mental illness. This was modified from the previous team’s WHO module on treatment and bolstered by information acquired from our own interviews conducted with clinical officers, spiritual healers, traditional healers, and doctors in the region. The second workshop was an opportunity for the CHWs to demonstrate their knowledge and teaching skills. This final session functioned as an informal assessment of the train-the-trainer element of the project. The train-the-trainer element consisted of CHWs attending the community member workshops we provided. This provided an opportunity for CHWs to reinforce their own knowledge and observe how to teach this information in a classroom setting. Most CHWs had reported that their method of knowledge dissemination was largely informal. Thus, observing our sessions provided an additional method CHWs could employ for sharing the information. We provided each CHW with a manual that outlined each session, contained images of visual aids we used, and teaching suggestions for activities and discussion points. It was heartening to see the level of interest and commitment demonstrated by the CHWs towards their communities with respect to mental health. Several of the CHWs told us of their plans of action within their communities and we had some interesting discussions about barriers to achieving ideal mental health care. As mentioned above, mental health workshops were conducted with community members. The workshops were conducted in two 4-hour sessions in the five target communities. The workshops were modified versions of those conducted by the 2016 Kenya Pamoja team. Focus group discussions were conducted at the beginning of the first workshop and at the end of the second workshop to assess the change in mental health knowledge before and after the instruction. The nutrition research project was implemented in the summer of 2014 within the Kisumu region, based on suggestions and preliminary work on nutrition education done by the 2013 GHI team. The goal of the 2014 research was to identify discrepancies between nutrition knowledge and practice for women and children. The research explored maternal health, breastfeeding practices and infant and young child feeding. Information was surveyed through three focus group discussions with women in the three rural sub-locations (Kit Mikayi, Kaila and Kajulu Koker) surrounding Kisumu, one focus group with men from the three sub-locations, and one focus group for Community Health Workers (CHWs) from each sub-location. The 2014 team also conducted workshops, but the main focus for the 2014 GHI team was the group discussions, which were well-received by the community. The 2015 team built on previous nutrition related initiatives by re-evaluating the knowledge of community members through focus groups. As well, there were teams that conducted home surveys with women in the three target communities in order to assess whether the nutrition education training given to the CHWs was filtering down to household practices. The team followed up by conducting train-the-trainer sessions with CHWs that focused on equipping them with the tools necessary to educate community members on best practices in maternal and childhood nutrition, as well as additional information on adolescent and elderly nutrition. The 2014 GHI team continued the health education workshops for primary and secondary school youth. The main focus of these workshops was sexual health, as this was identified by the CHWs as an important health topic pertaining to this population. Hour long workshops were delivered, and students were given informative brochures on sexual health, and other health topics such as drug and substance abuse. A final workshop was conducted for out of school community members, primarily focusing on mental health. This topic was delivered for the first time, and was positively received by the community. Going forward, future teams will continue to deliver health education workshops. The goal is to continue to work with community health workers so that these workshops may be conducted consistently throughout the year. With the initial success of the mental health workshops, future teams will discuss and assess with Pamoja the potential to continue or expand on this topic. Micro-financing was initiated by the 2012 team. In the project’s first year, team members visited banks and met with groups practicing Group Savings and Loans (GS&L), in order to assess the feasibility of, one day, initiating a microloans bank in order to ultimately encourage entrepreneurship in the area. In order to promote microfinance, the 2013 team provided training to all 35 PLHIV support groups in Group Savings and Loans methodology. The 2014 team administered surveys to gauge the efficacy of the GS&L groups in terms of generating income, and supporting community members financially. There was mixed success amongst the groups, making it clear that further training is required, especially in the domains of record-keeping, group structure and management, maintaining accountability, and managing interest. We hope that with additional training and support that the GS&L groups will continue to expand and increase financial security in the area. The 2016 team followed up with several of the microfinance groups to learn more about this project and document its success. 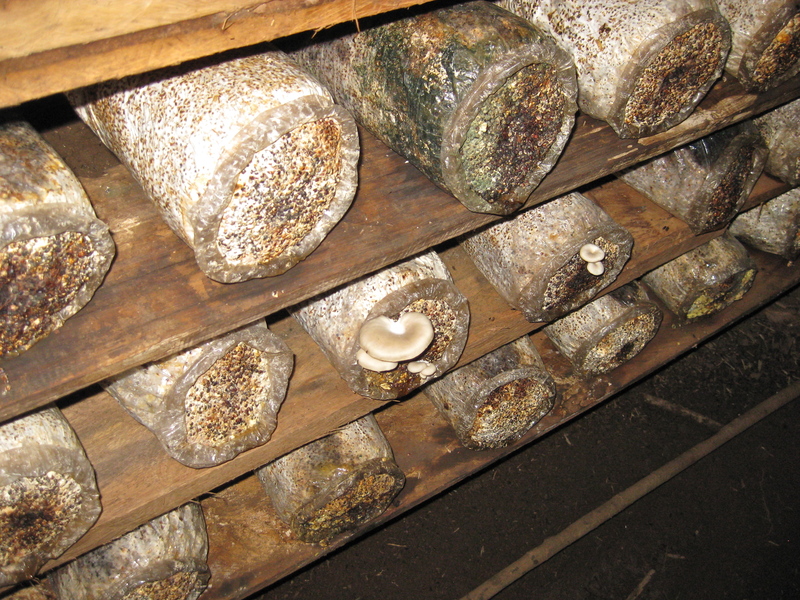 The Mushroom Farming Pilot, initiated in 2011, was started in order to explore whether mushroom farming could become a stable income generating activity for local farmers. The project remains exciting in its potential. Over the past summer, the 2014 team provided further training to troubleshoot some difficulties experienced in mushroom germination. It is our hope that with this additional training, the pilot project will be able to maximize yield and achieve sustainability. With a successful pilot project, Pamoja and future GHI teams can expand the project to benefit other community sites. 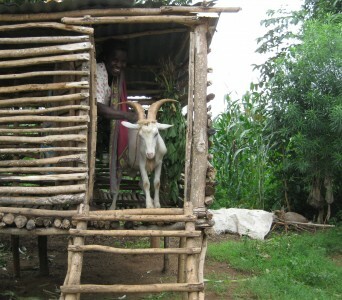 The Dairy Goat Project was initially developed to promote proper nutrition through the consumption of goat’s milk, as well as to improve income through selling of the milk. The dairy goat project has been well received by the community, and there has been slow but steady progress in breeding community non-dairy goats with the dairy goats to allow more community members to access goat milk. However, community awareness and engagement are not as high as they need to be in order to ensure sustainability. Future directions will include exploring how to generate interest and encourage a sense of shared responsibility.